Click here to see the local newscast featuring our lodge! We are always looking for new members who are interested in making the communities that we serve a nice place to live. For a tour of the lodge and more information about us, send an email to elks360@gmail.com and we would be happy to show you around. The New London Elks serves New London, Waterford, Montville, East Lyme, and part of Salem. 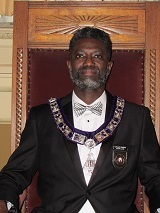 Welcome to New London Lodge's Website! We are active in our support of Veterans and Youth Activities in New London, Waterford, East Lyme, and Montville. If you're interested in learning more send me an email or stop down to the lodge. Our Veterans and Youth Activities support the New London community. If you're interested in joining, please contact myself or any other member to set up a meeting at the Lodge.